There are writers that now Yukari Ichijo became masters. 60s debuted in late, draw a wide range of genres from comedy to serious matter, a great influence on the reverse, has been at the forefront now. There is an early work called “Ousset Shiwagaai” in its Article Yukari. Synopsis, draw a picture of a lover struggling painter has been living together in the subject matter, but that their lover is not days are numbered in leukemia, Well, is the story of speel Zu Kashii 70s early unique. Himself stated that indeed “old days of shame”. I wonder this is not that there is everyone is experience if a representation person. Artist draws a picture of a lover, the writer wrote the I novel, and musicians make a song dedicated to the lover. Even if poor not sell the works, the day-to-day I was mentally satisfied believe in the future, even if the number remains in the mind as precious memories. Every day was a vivid and alive in the age of air, crush margins in the memories soak the pen tip to the sorrow, fill the heart in the name of love, if there is no such period, if the person is not unhappy. In an era that does not sell well in Bowie, there was a time that had been sent a mentally rich life while poor lover and fellow dreamed of the future. Debut of Bowie is 1964. But although his debut failure is followed by the sales basis, in 1967, but to announce the solo album, finally it would have been aborted the contract. Forced to without obtaining to pause the music activities, it would be to seek a representation of the stage, such as dance and pantomime. But Bowie that can not give up the success as a musician, had continued to compose activities in parallel. Such time to meet was the case for beautiful long hair dancer, it was Herumione-farthingale. Herumione and Bowie soon fell in love, start a cohabitation life at London’s flat. And invite John Hutchinson was a friend, it will be formed the band of the three-piece. Band of Dreams Come True organization called two men to one woman was named THE FEATHERS. Activity period while the short from September 1968 to mid-1969, has been left few color image, suggests the fact that Bowie had been paying attention to the impact of the video from an early stage. However, this cohabitation life is not last long, so that the demise by Herumione to move to Norway. At Bowie 22-year-old. This “22-year-old farewell” is very becomes a blow to Bowie, as will be described later, will leave some of her inspired by songs from regret to Herumione. This work of Helden label latest work, it has recorded a demo recording of this lover Herumione and cohabitation era, the era that had a band activity in the three persons of John Hutchinson and Bowie Herumione and friends. Recording is April 1969. Some there is also a literature that there is a description of to have been recorded in the hotel bedroom, but, as can be seen if Moraere listening to the sound, are those that have been recorded in 3 people in neatly studio. 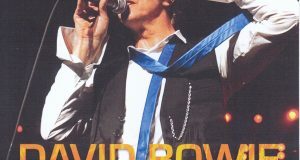 Seemingly to market to a record company, or just a new song of either test of the, but the one is unknown and entered the studio in what circumstances, Bowie of fresh 22-year-old is recorded along with the fellow the ambitious original songs and how it is has been engraved on the Katsuaki. Has been added to the carefully title and a brief description at the beginning of each song, it is also included, such as conversation to suggest the studio peaceful state of. And this sound source is the historical is not only to be of the time of a short period of activity THE FEATHERS, as can be seen if Moraere look at the song, just became the contents should be called The Making of space Oditi It lies in the fact that. Bowie was a lot of attention as a musician, immediately broke up with Herumione, was by 1969 “Space Oditi”. This song is broadcast over and over again in accordance with the lunar landing of Apollo 11, it became the suddenly attention of the rookie. While Bowie himself has not been stated, meaning from the fact that is possible to mention the 1967 first solo album almost no, also are not playing at all even in the later years of the stage, “Space Oditi” what is true in or it would not than has been recognized as a his debut. Recording of this work in April 1969, recording in June of “Space Oditi”, and release is November. As can be seen in this time axis, this work is Bowie’s valuable studio recording session just before representing their talents to the public. What originally was a song for the band, the band along with the parting of the Herumione debacle, it diverted a song as it’s own solo album, it is the name of Bowie by hit is coming out to the world. Life is intended that all things now are connected to ensure in the future, but it is downright strange fate. Now let’s look at the contents of this work. As mentioned above, this work is a studio session band that Bowie in April 1969 was formed at the time of the lover Herumione and friends Hutchinson and three. Decorate the beginning of the “Space Oditi”. This take the same take as those that are included in the box of the 1990 SOUND + VISION, that record is just a thing that was born in session at this time. But release version has been subjected to are numbered or editing, this work has become the front and rear left unedited long take. The second song, “Janine” is a song that has been recorded in the first B-side of the album “Space Oditi”. Lively and glue compared to the release version that was loincloth sing well cheerful, version of this work has been sung to speak calmly, the original beauty of simple instrumentation There is also a song that stands out . And the refrain of the Beatles “Hey Jude” in part to rises of the second half not to release version to parody, that is inserted with the Na-na-na-Nananana ~ Janine ♪ is interesting. “Seasons of the dream” is also a song that has been recorded on the album “Space Oditi”. Release version, but were those magnificent that stringed instrument has been superimposed, take the recording to this work, of course acoustic guitar only. Although the lyrics are also different part, this song was intended to lover Herumione, it has become a thing that was full of feelings of Bowie while esoteric lyrics. “Conversation Peace” is was to be widely recognized which was released as the B-side of the 1970 single “Pretty Est-Star”, later as a bonus track of “Space Oditi”. Its prototype is had been recorded at this time of this work. “Chinga Ring” is also in the early Bowie is a song that is indispensable. Studio version are included on the Deluxe Edition of the 2010 release of the first album of the current 1967. I think familiar not in the Song Title of “I’m Not Quite”, no doubt be surprised and listen I think the unpublished songs. The melody is so defunct “Letter to Herumione” that Magou. This is when there would have been still lover relationship with Herumione, lyrics not been basically large modified slightly different. It was announced by changing the “Letter To Hermione” the title in straight after it broke up. This track is to the original song. When this song was made, Herumione Whether this would have noticed that it’s the song that was entrusted a letter to yourself. “Love Songs” is a cover of Leslie Duncan. 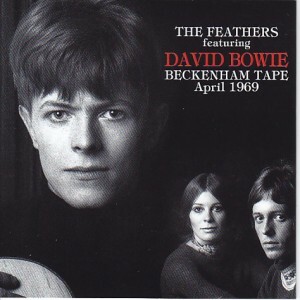 A song of female singer Bowie it is possible to listen to the very unusual pattern that cover. After it is that you have recorded the “It is very is to become saints in the city” of Springsteen, a superb cover that can catch a glimpse of the foresight that was recorded on your own your favorite music regardless of the famous anonymous. “I when the 5-year-old” is repeatedly inserted a beautiful melody, theme, in tune crammed with fast-talking the lyrics, which is songs like a Bee Gees. It unclear whether conscious but, such as where gradually narrowed voice in the ending, it is not too much to just say that the Bee Gees themselves. This is also the studio version is included on the Deluxe Edition of the 2010 release of the first album of the current 1967. That is, the recording of the time that we are again recording at this time. 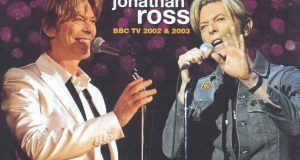 It will also be songs have had less, but Bowie himself the effects of age in the Arrange at the time complained that received in Moro, would imagine that or not is was trying to try again. “Life Is A Circus” is unreleased full today. Doji Morita is a heavy song likely dark singing. In Shakespeare’s play “As You Like It,” “Life is a stage. People are all actors” There is a famous passage that, there is not going to Bowie learned the theater not know it in the UK of young people. Perhaps it would not be a song that was made by inspired from Shakespeare’s plays. “Life is like a circus. Not fair. Life is a steep road.” Singing as loose and whisper a philosophical lyrics that. Circus and is also a fear of the subject as well as a pleasure. Well if the mischief as a child or would not scolded to be “Uritobasa to the circus.” Clown who clown around with a smile and a make-up that was hanging tears, came from somewhere, disappear to somewhere, eerie presence to bring a non-daily for a limited time, it is a circus. The awe of the sense in the world common, and Fellini movie, have come to a number of subject matter such as “It” of Stephen King. And Bowie is here or is not deep singing and circus and is a life. The end of this Beckenham tape is a song entitled “Lover To The Dawn”. It also might not pin To this the Song Title, but it is the original song of the “Signet-committee” of the album “Space Oditi”. While it is the melody line by the impressive beautiful 12-string guitar, or have been made middle part is not the final version, also unlike the part leading to the ending, above all dropped the tempo, also lyrics different thing. This song is how developed it is possible to know ask the door or became “Signet-committee”. Had kept a “Letter to Herumione” Hamada Harakyoku, this song has a large deviation from the “Signet committee”, but surely it is that can be seen in the original song, a very interesting take is for the fans is there. 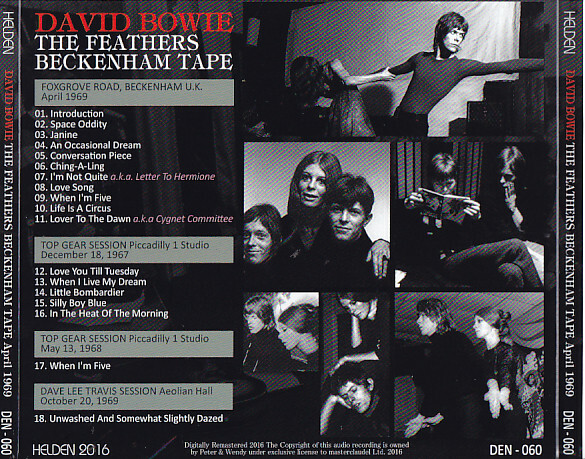 Or more, 10 songs, is commonly called Beckenham tape, is all that was recorded in April 1969, Bowie had called himself THE FEATHERS, Hutchinson, and in a trio of Herumione. And later it has been recorded sound source of BBC radio session. First of all five songs from TOP GEAR 1967 December 18, is the oldest of the BBC sound source in existence. It is an early representative songs beginning from “Love is Tuesday”, and “when the meet is my dream,” “pathetic shelling hand,” “stupid boy,” “In The Heat Of The Morning”, time basis to have to play the first album songs of 1967 also serves as a promotion also (but not in the “in the Heat of the Morning” only album songs, later recorded in the Deluxe Edition). Then recorded “My time is of 5-year-old” from the TOP GEAR of recorded May 13, 1968. 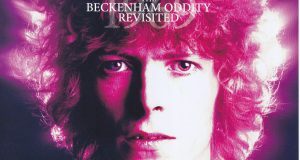 A song that has been recorded also in Beckenham tape, but does not change the impression in just a originally a simple song, because it is repeated, such as orchestra, has finished in the more Bee Gees-ish arrangement. And the last track is a session sound source of the 1969 October 20, Dave Lee Travis. This time is playing a “dazzling has been soul” from the “Space Oditi” section in the release just before. Already only a pre-recorded songs, is almost the same performance as the studio version. Cohabitation era of Bowie and Herumione, Bowie, which had fallen in love is, in the midst of happiness, which was also mentally met while not sell, friendly feeling committed to the music made for lovers, overflowing from the sound source It seems to come. And even that is gaining depth, among other at the height of happiness, would in that shadow of a ray, such as premonition a farewell visit this immediately after is even a pointing Tsu thin. When happiness and despair mingling, people do not get used most gently. That this Beckenham tape that captures the moment can be said to be a valuable source of before Bowie flight. And of course, as can be seen if you look at the music, which is of a Making of space Oditi unquestionably. Bowie from this demo recording will be fly greatly to the world. Bowie that will gain worldwide fame and great wealth, the same lost in exchange, a happy time that can not go back again, has been condensed into this sound source, it is of such a mind to. Every day was a vivid and alive in the age of air, crush margins in the memories soak the pen tip to the sorrow, Bowie era that filled the heart in the name of the lover is painful as possible, beautiful as possible. Permanent preservation firmly press platen of the picture disc specification.